There is a wide selection of ewallet payment providers out there and they function in very different ways. PerfectMoney.is (formerly PerfectMoney.com) is one such electronic payment provider with a host of other services to boot. Many binary options brokers accept this payment method as it can be used by anyone across the globe. Also traders who do not perhaps have their own bank account can use this payment method in place of a bank account. From it they can transfer funds, bank wire transfers, exchange currencies, take a loan or even loan out money to other users in exchange for an interest rate payment. PerfectMoney is accepted by many binary options brokers as a standard payment method. Usually brokers will not charge you when you use this payment method to either deposit or withdraw from your trading account. Here are some recommended brokers that currently accept PerfectMoney. PerfectMoney allows you to make payments to anywhere in the world, no matter of local restrictions. You can set up automatic payments with PerfectMoney so that payments recur without you having to do anything. If the recipient prefers to receive money to their bank account rather than their PerfectMoney account you can select the Bank wire option and then choose an exchange partner that exchanges the currency to the local currency and makes the payment on your behalf. PerfectMoney allows you to create and print full account statements and you also have the option to create subaccounts. These are limited accounts for other users you want to be able to see your data without having the option to make transactions themselves. An interesting feature of PerfectMoney is that if you have any spare cash you can use it to lend to other PerfectMoney users that are strapped for cash. The benefit to you is that you can interest paid back on the money you loaned. Conversely if you need some extra cash you can accept a loan from other users. Finally PerfectMoney acts as a money exchange agent, exchanging your currency for other currencies that you might need, or even for Bitcoin. With PerfectMoney you can open an account using euros, dollars, pounds or Bitcoins or in Gold. The service is easy to use. You can perform certain transactions immediately after you have opened an account. If you wish to start working with bank transfers you will need to verify your account. You will do that in the settings section of the website. You need to upload a true and most recent copy of your ID card or passport and then answer a phone call which confirms you’re phone number. Once that is done you will have full access to use your account to make transfers between bank accounts and to receive funds, you will also be able to reduce service charges for domestic payments on bills and carrying out credit exchange transactions. The beauty of the service is that you do not need to have a bank account to use PerfectMoney as it takes the place of a bank eg. If someone wants to wire you funds, you can accept them directly into your PerfectMoney account. You can also fund your account using Bitcoin and by borrowing money from other PerfectMoney users. You also have the option to lend money to other users in exchange for accruing interest. Every user of PerfectMoney is given a trust score, which is based on the volume of funds transferred, reviews and more. If lending money it’s a good idea to check out the trust score first. First you need select whether your account is for personal or business use. Opening an account is easy, you will need to fill out all of your personal details on the form, you will be sent a personal ID number which you will need to use for every transaction you make. Safer than you might think actually. There are a number of layers of safety implemented: these include IP identification, a code card and special SMS commands. They have also implemented anti-fraud mechanisms to track and prevent fraudulent transactions. You can deposit money in the usual ways eg. By using your bank account or if you do not own a bank account you can use Bitcoin or electronic payments and even gold. Deposit fees at PerfectMoney are 0% for bank transfers and Bitcoin. If you have a balance in your account you will even receive interest of 4% per annum. There are some security fees which include SMS text fees and account restoration, but there is no cost to open an account. PerfectMoney is quite different in that it pays you an interest rate for having a positive balance in your account. It allows you to pay using Bitcoin and Gold. With PerfectMoney, unlike Paypal you do not need to have an existing bank account. 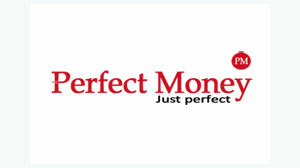 PerfectMoney also allows you to borrow money or lend money to other PerfectMoney users. PerfectMoney is a simple and hassle-free way of depositing or withdrawing funds from your chosen binary options broker. It also has some other great benefits not currently available with other electronic wallets and payment providers. What are the brokers accepting PerfectMoney? Is it safe to use PerfectMoney? Yes. Perfectly safe as they have implemented various layers of security protocol for antifraud and anti theft. Are there any limits using PerfectMoney? No. Use it as you like. You can even get interest if you have a positive balance in your account.